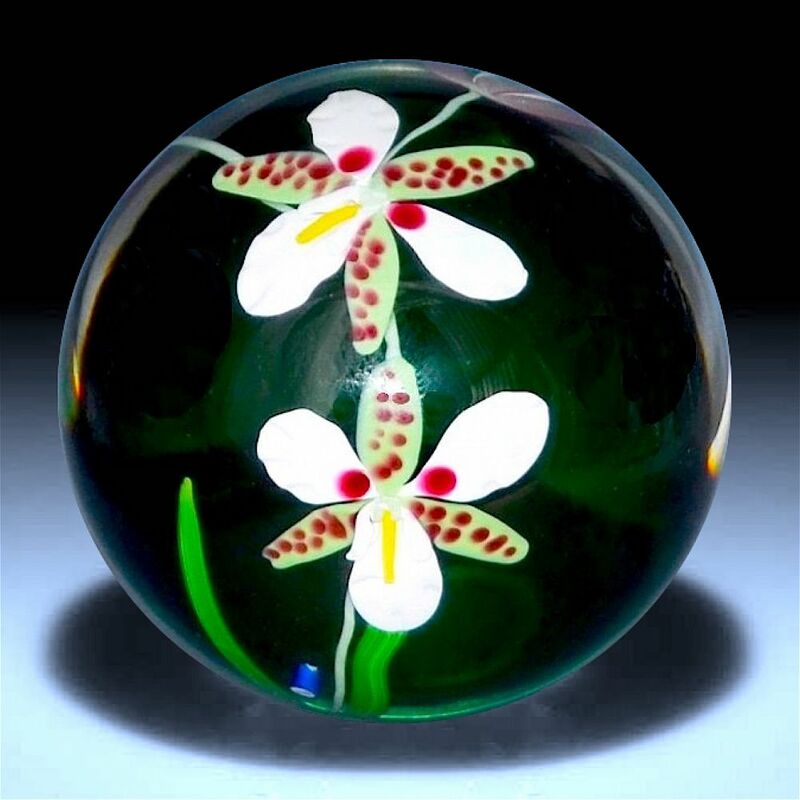 This lovely large green torchwork paperweight was made by Mike Hunter for Twists Glass in 2006. The torch work consists of a spray of orchids being two fully open orchid heads with white, green and red spotted petals and two torchwork buds one closed and the other half open. It is signed "M Hunter Twists 06 O. rossi Orchid series" and has Mike's personal "MH" cane on one side.